We are delighted to announce the opening of our first overseas office in London. The UK is a very important market for us and we can now offer our clients a more personalised service. We are committed to the UK market and will continuously invest to support our customers. Glasnost on the Amazon Cloud ! The Digital Mesh team has once again demonstrated its ability to adapt to new technologies by porting Glasnost, an online project management tool to the Amazon cloud. We are now ready to provide this revolutionary technology to all our clients. MCCOM has won an award recently! Our client, MCCOM has been selected for the 2009 Best of Chester Award in the Communications Equipment category by the U.S. Commerce Association. CEO, Ravi John has been quoted in an online Magazine! Digital Mesh in the News ! The launch of Digital Mesh's new Microsoft Silver light based e commerce application was reported in the Businessline . 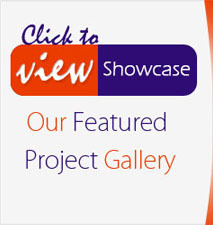 This follows the recognition that we received from Microsoft on their Silverlight showcase. We are happy to announce the release of our SilverLight 2 technology demonstrator application on the same day that Microsoft released Silverlight 2. SE 2A Rating from CRISIL! Digital Mesh has been awarded a "SE 2A" rating by CRISIL (A Standard & Poor company).A "SE 2A" rating signifies "High Performance capability" & "High Financial Strength" and is the second highest ranking for SME companies. This is further endorsement of our commitment to building a high growth software services company based as much on prudent financial management as on passion for technology. This award is also a tribute to our employees who make Digital Mesh what it is. And last but not the least we wish to thank our clients who continue to repose their faith in us. Ravi John was interviewed by Newsweek reporters Ron Moreau and Sudip Mazumdar for a piece they were doing on the relevance of smaller cities in the unparalleled growth in India 's IT industry. After many months of hard work we moved into our spank new facility within the Cochin Special Economic Zone in May 2007. The new facility has been designed to accommodate 100 full time developers. Teufel Lautsprecher decided to outsource Phase II of their web based ERP application also to Digital Mesh. This agreement for this was finalized between the CEO, Ravi John and Markus Roemis during the formers visit to Germany in September 2006. The relationship with Teufel has stood the test of time and is proving to be a mutually beneficial one. Our CTO, Roshan and CEO - Europe, Peter Musseleck participated at the Wirtschafts Woche Wittlich Trade show in Witlich , Germany in September. The response was very encouraging. The Mayor of Witlich, Mr. Ralf Bußmer spent time at our stall and appreciated the services we were offering in his speech. The number of enquiries that we had from the SME segment reinforces our belief that outsourcing is no longer the preserve of large corporates. Peter Musseleck, CEO - Europe, participated in the ("Saechsischer Unternehmertag 2006" ) at Leipzig and once again we had entusastic response to our service offering. In what promises to be the start of a long and mutually beneficial relationship Ms Linda Tom and Mr. Merick Shaefer of UNICEF, New York visited our development facility in Cochin . They spent 2 weeks with our Red Dot development team supervising the building of the Time to Draw the Line web site. The project had to be completed in very short time and inspite of the many challenges our Red Dot development team came out with flying colors as usual.